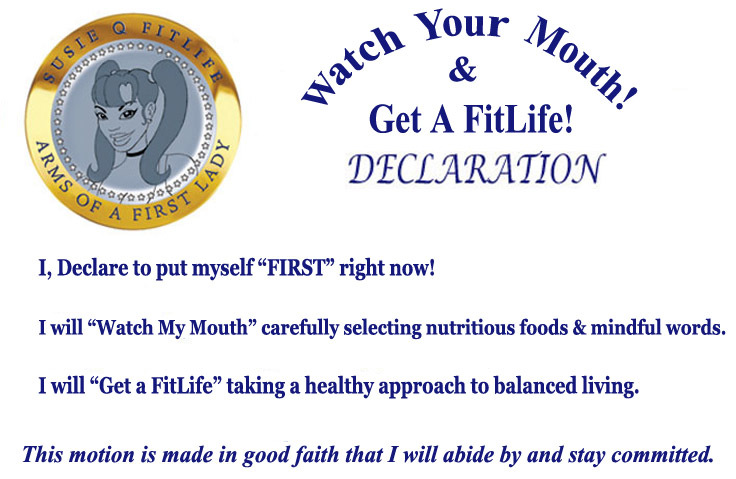 Watch Your Mouth & Get A FitLife! Our FitLife mission is to attain One Million & One Signatures from everyone who is ready to “Get a FitLife” & join this initiative! SusieQ will present all submitted forms to Capitol Hill with great effort to stop the FOOD FIGHT! 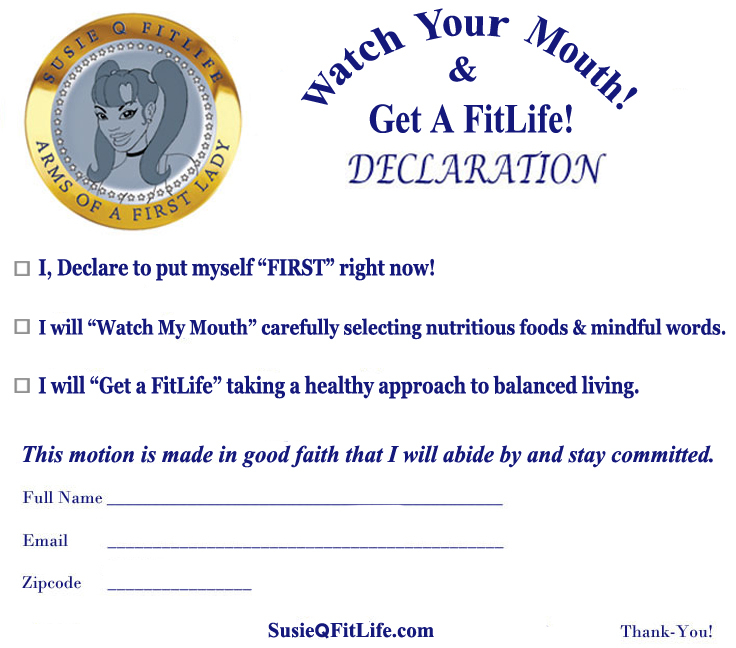 Children & everyone across the nation will unite on the “Watch Your Mouth & Get A FitLife!” campaign.